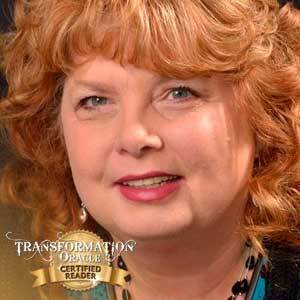 VIALET RAYNE is a Certified Transformation Oracle Reader who offers numerous other services, and owns Discover Your Spiritual Gifts in Littleton, Colorado. "Sonya is an amazing guide through the discovery of her beautiful Oracle deck. The insights of her impressions of each of the cards were awesome. She provided detailed information within the workshop and we got plenty of hands-on experience. Sonya is a beautiful Light in this world and she is very supportive as you gain your confidence with working with the cards. I have been doing Tarot readings for many, many years and I gained additional spreads and insights on readings. I highly recommend her workshops." Get a Reading with Vialet! Please call or text 303.257.2276 or click here to to schedule a Transformation Oracle reading with Vialet. Vialet is the magical creator of Discover Your Spiritual Gifts. She brings in a loving and sacred approach to her readings, healings and teachings to support you on your spiritual journey. Check out Vialet’s transformation story My Path to Love, Joy, and Happiness — A Transformation Story.